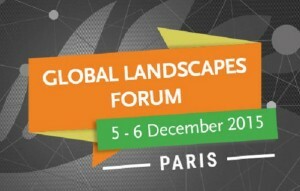 IFPRI researchers Mark Rosegrant, Keith Wiebe and Alex de Pinto led a session (“Up and down the scales of time and place: Integrating global trends and local decisions to make the world more food-secure by 2050”) on December 5 at the Global Landscapes Forum on the margins of COP21 in Paris. 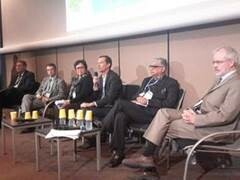 The session explored climate change impacts and solutions at global, regional and country scales, drawing on new research to analyze policy options that promote healthy growth of the agricultural sector and food security in a changing climate. Participants Mercedita Sombilla (Director ANRES, National Economic and Development Authority, Office of the President, Philippines), Kirit N Shelat (Executive Chairman, Indian National Council for Climate Change Sustainable Development and Public Leadership), and Rodrigo Suarez Castaño (Climate Change Director, Ministry of Environment and Sustainable Development, Colombia) also shared insights and experiences from the national level.